Discover how to target the right readers with ebook giveaways. Listen as Ashley Durrer, Business Development Director at Instafreebie, explains how the company builds trusted and lasting connections to the right readers. Ashley Durrer, an out-of-the-box thinker who helps connect authors to readers and readers to authors. 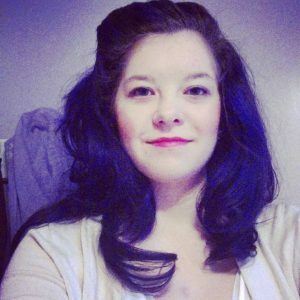 Ashley is the Business Development Director at InstaFreebie, a company dedicated to accelerating great stories and big ideas. As the book world’s leading platform for exclusive access to sneak peeks, advance previews and special giveaways, InstaFreebie lives its mission every day and gives readers a chance to see it first. They encourage authors to build a dedicated audience of readers by giving away free copies of their book. Q: Ashley, I’m intrigued with the InstaFreebie’s model of building a dedicated audience of readers with ebook giveaways. Could you tell our listeners how this concept actually works? A: It’s taken us a little over two years to kind of figure this out and really what it meant to us. So it starts from a philosophical place. It’s all about reciprocity and really offering a gift to someone not necessarily expecting anything in return, so you’re actually starting the relationship out on a very positive note with a reader by sharing content for free. I know for a lot of authors it can seem pretty scary to give out your content for free but it does create a very positive experience with the reader and actually builds a fan right away. When you’re doing this with InstaFreebie, you have the control to be able to say, “Okay, I only want to give out 10 copies and I actually want to make sure that this giveaway expires on this date.” So you can set those parameters so that you can make sure that your content is only going as far as you want it to. So we have those in place and the author controls that so you have full control to be able to do that. For more about Instafreebie and the services they offer.